It's easy to sign up for my newsletter! Join my email list where interesting events, projects, and fun facts await you! Thank you for expanding your interest in folklore, storytelling, and Celtic traditions with me as I continue sharing my journey with you! Ever felt the need for a new adventure? Or perhaps you feel rebellious and are unsure where to take your passions against societal wrongs? Maybe you are simply being called into the solitudes of nature yet cannot find your way into the quiet. You are not alone. The phenomenal recounts of the Celtic saints show identical dilemmas transformed by their faith. By hearing the events of their legends and deeds from a first person perspective, these monologues breathe life into the light shared with humanity by these inspirational men and women. Take a journey - into the past, into the states of the soul, into your heart. Ever wish your dog came into this world with the knowledge of how to be “the perfect puppy?” What lessons might those be? National Award Winning author Bobbie Pell answers those questions in a humorous adventure following two spirit puppies into the mortal realm. Their behaviors reflect how well they learned, or didn’t learn, the advice given in The Good Puppy Manual! JUST ONE WISH: REALMS OF FAERIE! "Well, Ranulff old boy, I believe our glamour is beginning to fade," sighed Estella as her fingertips lingered over the dog's golden head. The pet's natural white was emerging as hints of red adorned the ear flaps, denoting the dog's faerie origins. Estella's auburn hair, once masked as auburn, now draped her shoulders in wispy, silver curls tipped with lavender, giving her the appearance of a mortal woman in her mid-fifties. "Well, there's naught for it now. Just shows you what being with mortals for too many turns of the moon will do." Venture into the realms of imagination where love is tested, retribution is earned, and faeries make mischief among mortals. In narrative poems with fresh motivators and twists, discover how Beauty's Beast was transformed, the true destiny of the Little Mermaid, and how a clever younger sister finally wins! 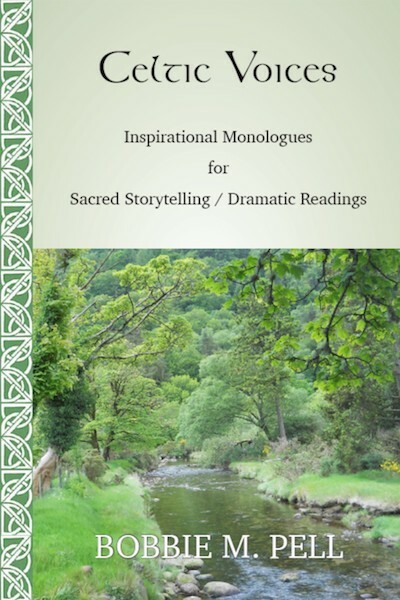 This collection of original tales and poems expose Celtic themes, world folklore, and the essence of the natural world. When a woman plans her life, she never includes tragedy. Hannah McFey thought she knew what she wanted - a simple life in her native 16th century Scottish highlands, married to Lukas MacLaren, a man she truly loved, and following in her mother’s profession as a weaver. Social class differences undergird Hannah’s greatest fears of ever truly being loved. But the initial romantic conflict, once resolved, leads our heroine into deeper discoveries about the nature of a woman’s soul - her drive, her courage, and her ability to love, even herself. 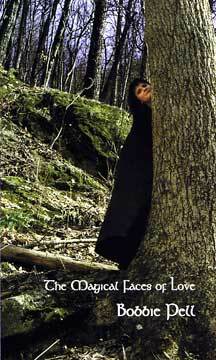 She even discovers close ties with beings of the folkloric Celtic Otherworld. Tragic events send Hannah on a treacherous journey to locate Michael, a mysterious missing harper loved for years by her mother. But when Hannah is challenged about her own heritage, the results create choices which impact her future. Michael’s story plumbs the depths of Celtic mysteries while Hannah struggles to survive in the face of great loss and deep uncertainties. The two strands blend into a seamless weaving of healing the wounded heart, reclaiming one’s identity, and learning to love once more. "Bobbie Pell’s lifelong interests in traditional culture and literature have long been reflected in her engaging story-telling and music. Now, after years of seeking out and studying Celtic mythology, history and folklore, she has brought together many colourful strands to weave a creative, new tapestry that promises to delight all who are fascinated by Celtic tradition." 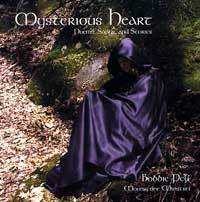 AUDIO: Celtic Historical Romantic Adventure! 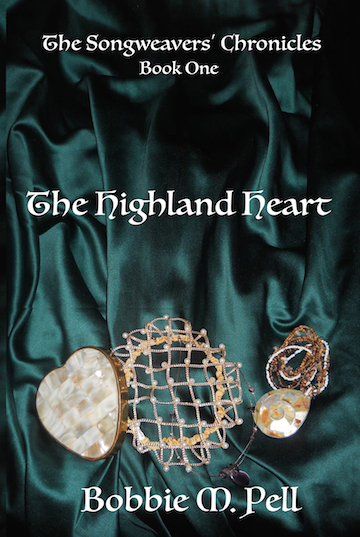 Master Storyteller Bobbie Pell performs her Scottish novel, The Highland Heart, a dramatic telling of family mysteries, faerie aid, and true love with over a dozen traditional songs. Words on a page are powerful. 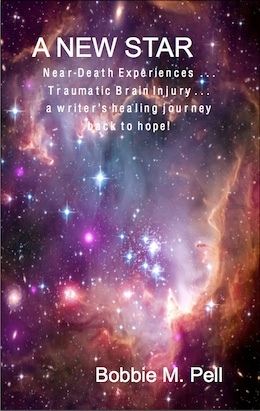 Words like 'traumatic brain injury,' 'post-traumatic syndrome disorder,' and 'near-death experience' found life on the page when the mere mention of these ideas unraveled my world. The author’s healing journey blends her expansion of spiritual beliefs with metaphysical techniques, Celtic folklore elements, and psychological therapies. Healing sessions lent themselves to written expression through poetry, short fiction, inner council dialogues, and journal writing, exemplifying the accessibility of words as an important avenue in the healing process. 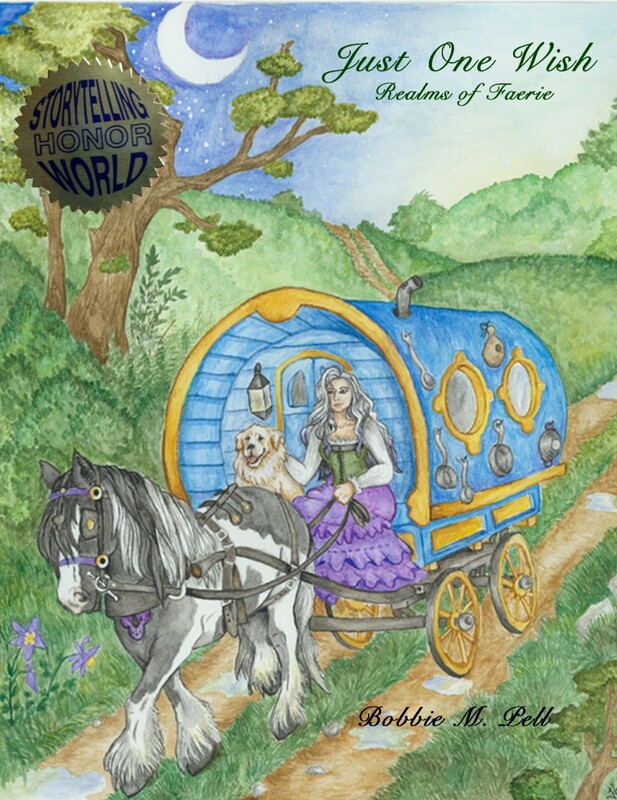 This book lends itself as the core for workshops on writing (poetry, fiction, journals), spirituality, the mind/body/spirit healing arts, and folk/ fairy tales. See Bobbie Pell's profile on the Mind Body Network website! Celtic Colours, magical fiber arts creations, are luxurious hand-made garments for women. High quality yarns (Peruvian Highland Wool, Suri Alpaca, Merino Wool, Brushed Kid Mohair, Silk, Rayon Boucle) blended with hand-dyed colors create mosaic fabrics. Garments are one size fits all. Each style series is based on designs and traditions of the early Celts while color combinations mirror the Celtic affinity with nature. Be sure to follow color detail links for individual skeins! Touch the sensual delights of simple beauty and elegance! 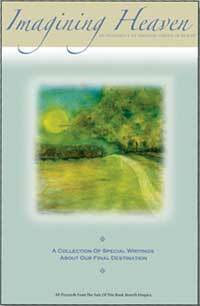 Imagining Heaven, is a special collection of more than 100 writings in which people of varying ages, nationalities, walks of life, faiths, and beliefs explore their personal visions and glimpses of heaven. All proceeds from the sale of Imagining Heaven go to Hospice, a nonprofit organization that helps to ease the passage from earth to heaven for terminally ill people and their loved ones. (144 pages) Scary stories. Everyone loves to hear them and everyone loves to tell them. 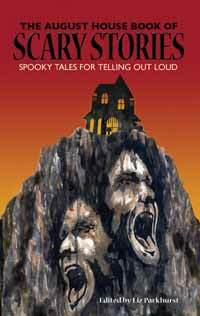 Scary stories are particularly popular among upper-elementary and middle-school kids, and the selections included have been specifically selected with them in mind. Contributors include Larry G. Brown, Michael J. Caduto, Kevin Cordi, Lorna MacDonald Czarnota, Timothy E. Dillinger, Lyn Ford, Martha Hamilton & Mitch Weiss, Mary Hamilton, Mary Grace Ketner, Olga Loya, Margaret Read MacDonald, Jim May, Bobbie Pell, Gregorio C. Pedroza, James "Sparky" Rucker, Robert D. San Souci, Judy Sima, Wendy Welch, Nat Whitman, and Richard & Judy Dockrey Young. 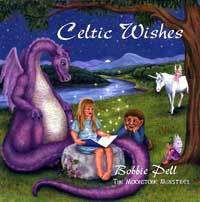 Discover the magical wonders found in ancient Celtic lands by meeting kindly trolls, unusual pipers, and original stories, poems, and songs with Celtic motifs. Master Irish musician Grey Larsen enhances each CD with original improvisations and traditional O'Carolan tunes. 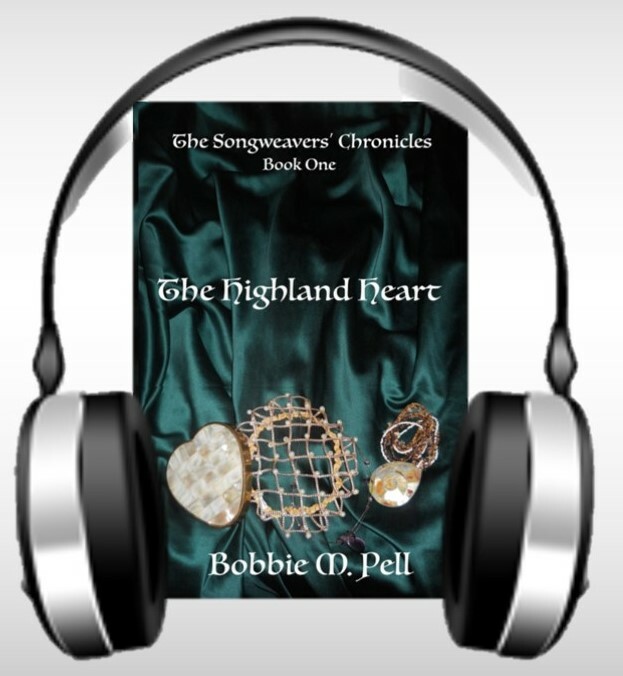 Take a musical journey to ancient Celtic lands where harpers roamed the byways, seal maidens searched for lovers, and sailors discover treasures of the heart. Enter the realms of King Arthur where hags reveal hidden wisdom, giants learn secrets from children, and dragons are not what they appear.